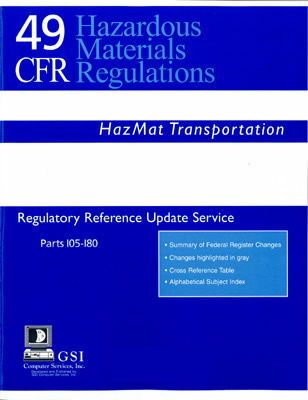 This is a copy of Title 49 of the Code of Federal Regulations Parts 105 to 180 which focuses on the subject matter of domestic DOT regulations involving the transport of hazardous materials in the United States. This regulation book is updated quarterly. Subscriptions are available.